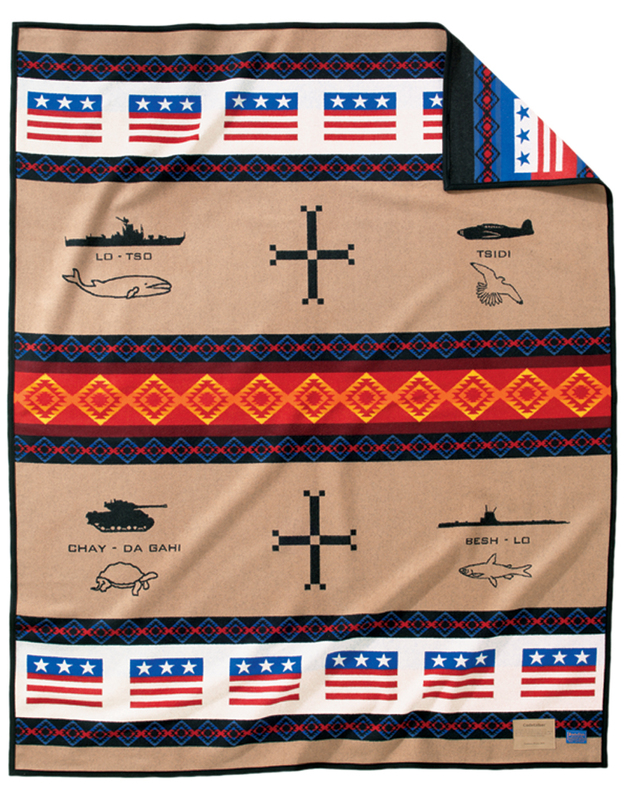 We have woven many blankets that celebrate American patriotism over the years, from the Grateful Nation and Code Talker blankets that celebrate the contributions of our veterans, to retired blankets like Chief Eagle and Home of the Brave. 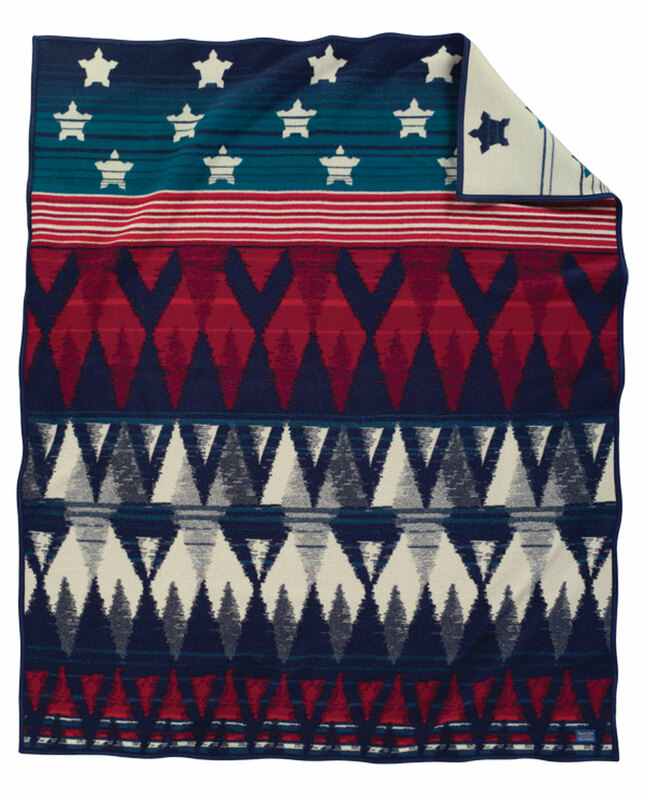 Here are two beautiful blankets that summon the patriotic spirit of this Independence Day. “O say can you see by the dawn’s early light.” These words were penned on the back of an envelope in 1814 by young lawyer and poet Francis Scott Key. Key was held captive on a Royal Navy ship as British ships in Chesapeake Bay bombarded Fort McHenry throughout the night. When dawn broke, the fort was still standing, the American flag still waving. 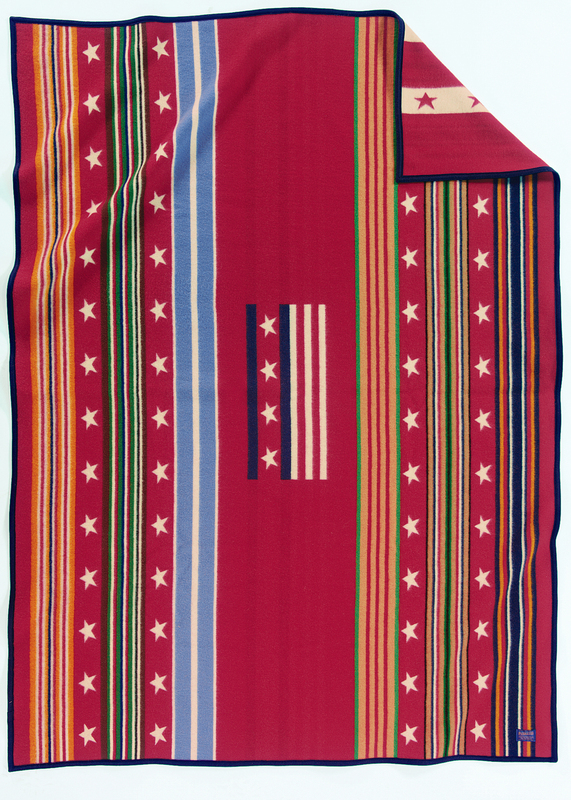 It was a turning point in the war of 1812, and the birth of our national anthem, the “Star Spangled Banner.” This blanket, woven in our American mills, commemorates the Bicentennial of that momentous morning in U.S. history. 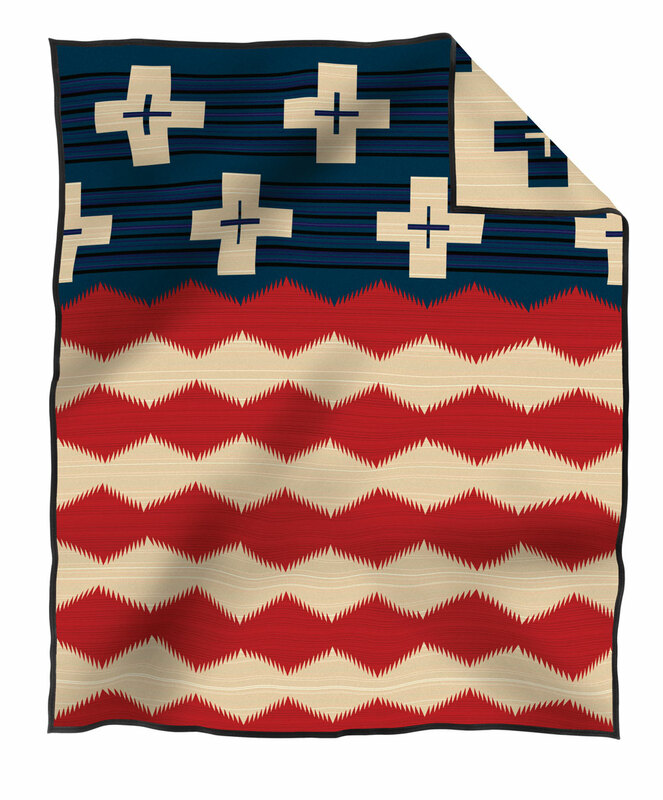 Fifteen red and white stripes and stars represent those on the flag at that time. Each star is shaped like an aerial view of the fort, which was built in the shape of a five-pointed star. 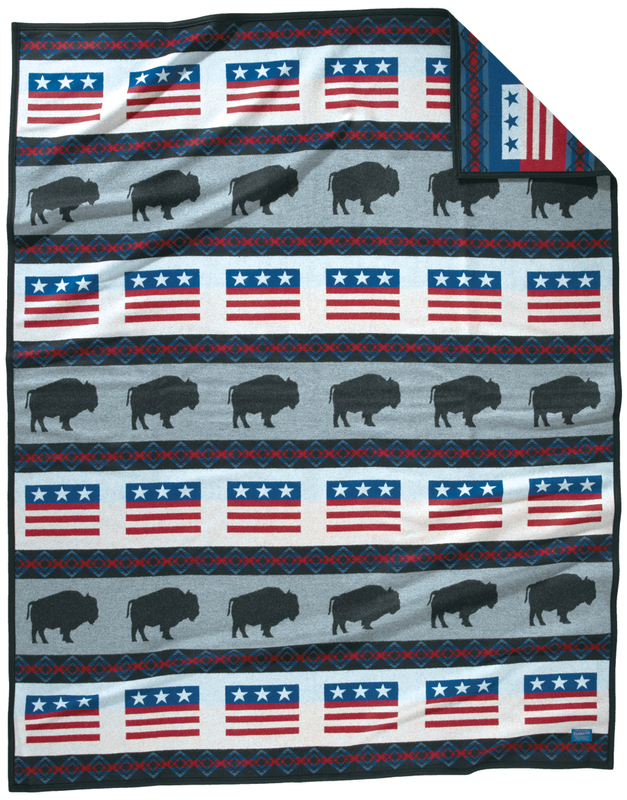 Striations and imprecise images give the design a vintage Americana look. 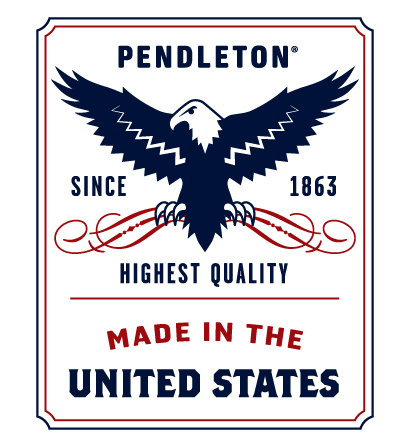 Is the Chief Eagle Pendleton still available to order? It was retired in the early 2000s, but you can find them on eBay.